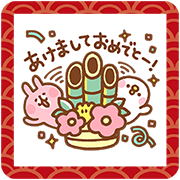 http://www.line-stickers.com/ – Kanahei’s New Year’s Gift Stickers Line Sticker | Start off your new year perfectly balanced between work and play with the whimsical rabbit, Usagi, and his earnest bird friend, Piske! They may be small animals, but they have just as much fun as anyone else! Available till January 15, 2017. 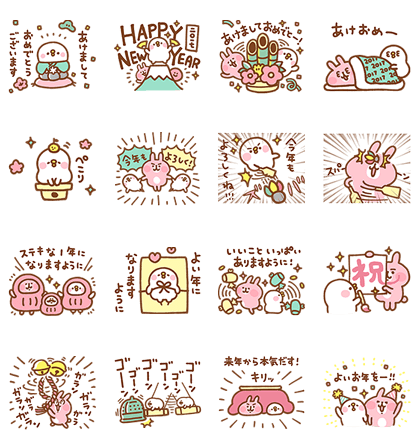 Note: New Year’s Gift lasts from Dec 27, 2016 to Jan 3, 2017.